And ending up feeling empty after the holidays. This year make Christmas better. While everyone else is running around shopping and going to events they don’t want to attend; you’ll be having the best Christmas ever. You, the stress-free host—opening up your home for casual holiday get-togethers everyone loves. With margin in your schedule to stay balanced and feel normal through the busiest happiest time of year. Politely declining invitations and events (and not feeling guilty about it) so you can spend more time with your family. Giving and getting meaningful gifts that will be used and enjoyed, not random stuff that turns into clutter before New Year’s Eve. Making memories with your favorite people so you can end the season feeling whole—filled with love and gratitude. This is not another decluttering book. 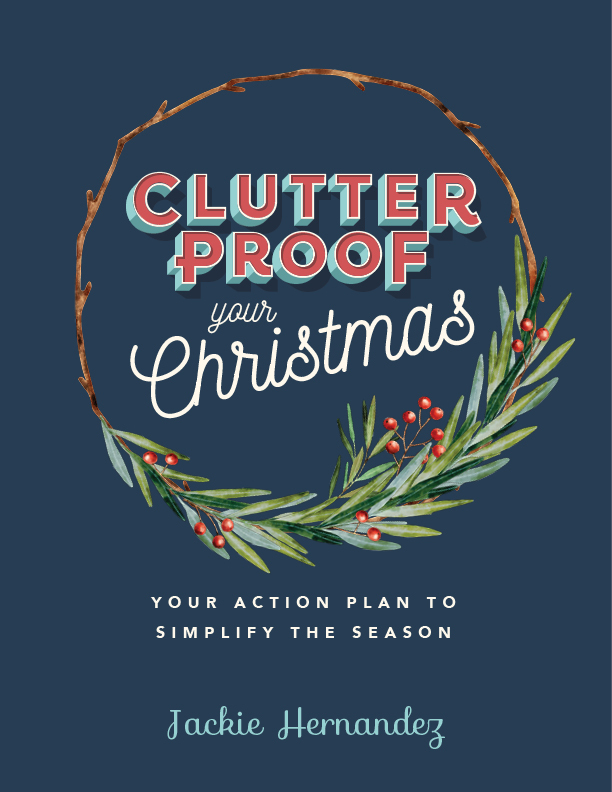 Clutterproof Your Christmas is an action plan (part ebook + part planner) to eliminate the clutter that usually comes with the holidays—like a packed calendar and unwanted gifts. Get your hot cocoa and your favorite reading chair ready! Inside you’ll discover the simple strategies to return Christmastime to its former glory—as the most wonderful time of the year. Plus—the sly way to ensure you can leave any party early—especially those work functions you feel obligated to attend. Ever feel guilty turning down an invitation when you just want a stay in? Then head straight to page 11 for three word-for-word scripts to get a guilt-free night off. Sold out! Thank you for your interest in Clutterproof Your Christmas. It will be available again in November 2019. The idea for Clutterproof Your Christmas came to me in August. I know, seriously, who starts thinking about Christmas in the summer?! But, you see, we had just moved across the country and downsized to an apartment less than half the size of our old house. The decluttering process to get rid of over half our stuff was emotional and time-consuming, and I never want to go through that again. 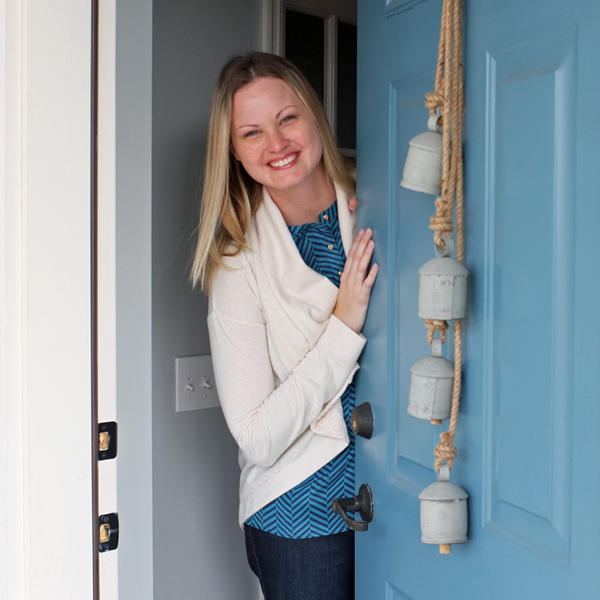 So, I’m determined to keep clutter out of our home and our lives. I’ve become obsessed with clutterproofing—developing habits, routines, and strategies to keep clutter away. As I thought about Christmas, I realized we were already ahead of the game. For years, we’ve been using these four strategies to keep the holidays simple and clutter-free. 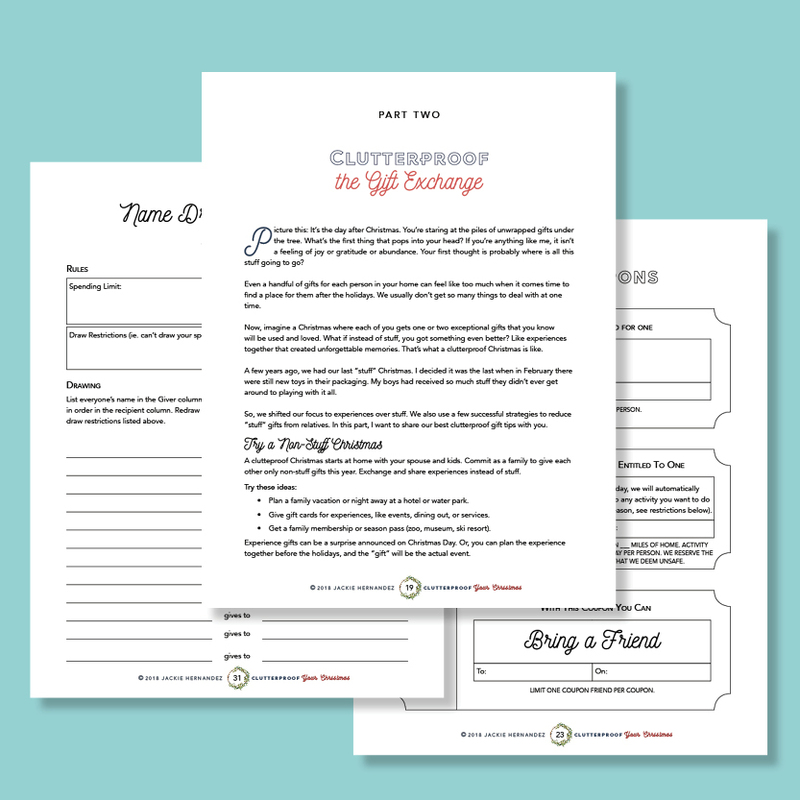 Clutterproof Your Christmas is the first of what I hope will be many resources to help you simplify your home and life. I wanted to get this guide out to you first because (yikes!) Christmas is less than 25 days away. Your best Christmas ever starts now—if you clutterproof. These strategies work better the earlier you start. 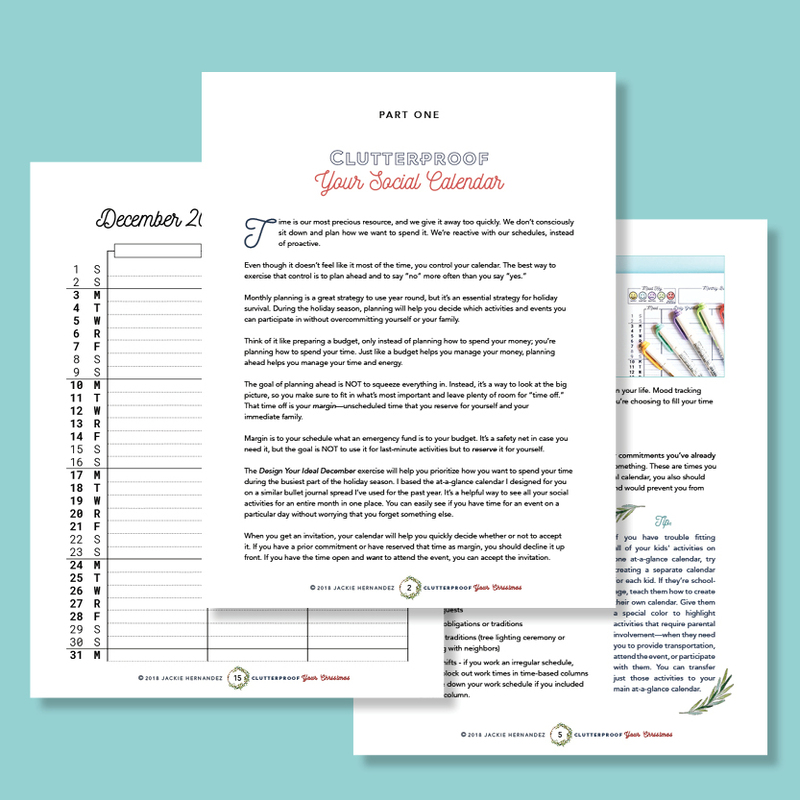 Because I want you to get the full benefit of this guide, I need to get it in your hands now. Don’t panic, but we’re less than 25 days away from Christmas! If you don’t want it to be over in a blur, get Clutterproof Your Christmas now so you can slow down and savor the season. Available for a limited time only! Anyone who doesn’t get Clutterproof Your Christmas before December 3rd has to wait until next year to start having stress-free holidays. To get your copy of Clutterproof Your Christmas click the jolly red button above. Enter in your payment details (you can pay via credit card or PayPal). Once your payment is complete, your download button will appear. You can download your copy right now, no login required. You’ll also receive an email with the download link. 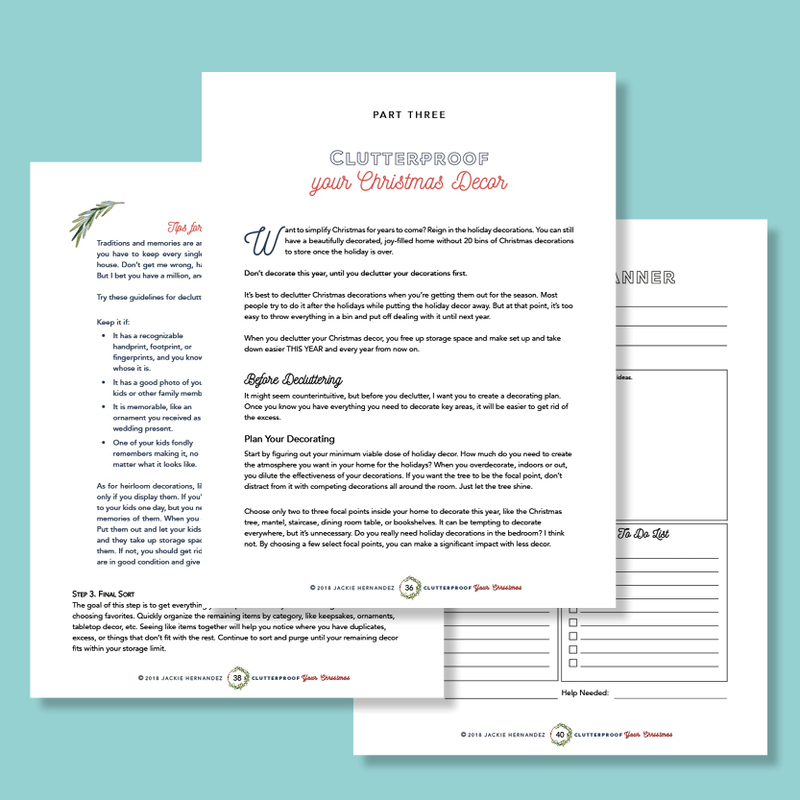 Clutterproof Your Christmas is a 50-page PDF guide—a format you can view on any computer or device. 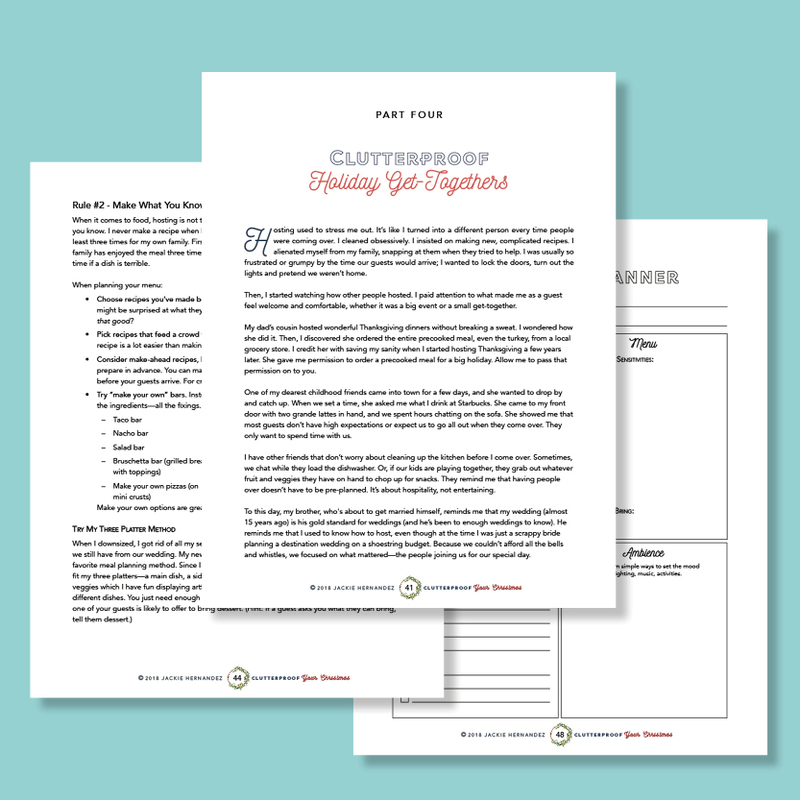 The guide includes worksheets, checklists, and planner pages that you can print on 8.5” x 11” paper on your home printer as needed. You do NOT need to print the entire guide. Don’t wait any longer. Clutterproof Your Christmas will only be available until Monday, December 3, 2018. I’m certain you’ll be happy with Clutterproof Your Christmas. If for any reason you’re not, please email me within 48 hours of your purchase and I will issue a full refund. Clutterproof Your Christmas is © 2018 Jackie Hernandez. It is for personal use only for a single user. You may not resell, redistribute, share, or reproduce it in any way. You have my permission to print the PDF in full or in part for personal use.